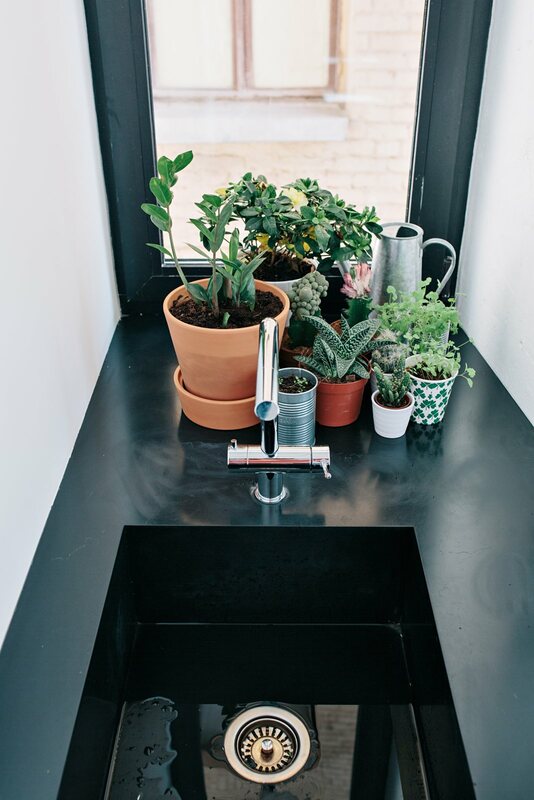 These little plants on black integrated sink add vitality and charm to the space. Project Black and White Apartment in Moscow, Russia, designed by Crosby Studios. Photographed by Evgeny Evgrafov.